Kids selling lemonade at little stands on their front lawns is one of the sweetest sights of summer. A couple of young entrepreneurs recently set up a shop near the spot where more than a hundred kayakers launched out for an annual Poker Paddle Tournament on our neighborhood salt pond. I think those enterprising kids raked in big time on that hot afternoon. 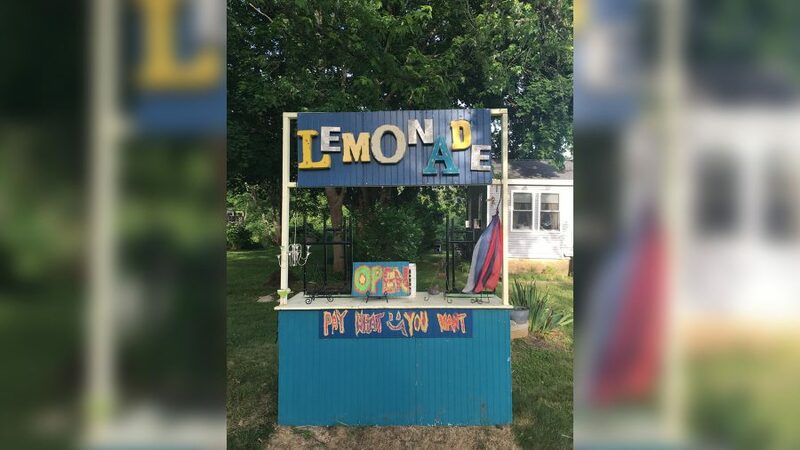 Those stands – elaborate ones built from plywood or a rickety table with paper cups and a pitcher – are a good reminder of a mantra I hold close: Lemons to Lemonade. Ok… I know that might sound a little trite. But I am a 12 Step kind of girl who happens to believe slogans like Let Go and Let God and One Day at a Time can be extremely helpful when help is needed. So, for me in a tight spot – and I mean a very tight spot – like in an ER or a funeral home or sitting with someone trying to absorb some pretty shattering news, Lemons to Lemonade silently repeated can help shape a decision to believe something good will be born from even the worst circumstances. The year my husband had surgery and then chemo I was so wracked with those troublesome twins’ anxiety and fear that Lemons to Lemonade was my go-to for staying sane and focusing as best I could on the good happening around our family. I would repeat it over and over during those (frequent) times when my footing felt shaky. Lemons to Lemonade, Lemons to Lemonade, Lemons to Lemonade. Throughout those months, there was an outpouring of love from many kind friends and family that eased the rough spots and provided refreshment for Joe and all of us. Over many years, I have been absolutely blessed with a circle of faith-filled women friends, who have faced very tragic losses. Yet they have remained unscathed by bitterness, in fact they have become more open hearted and generous as a result of what they have endured. They have been living examples to me of keeping a weather eye open for the sun coming after the storm. They live out the Lemonade mantra. Definitely a practice that takes work. Definitely a perspective I need always.